Why compromise the good conditions in your garage? Call us to replace the broken garage door weather stripping in Oshawa, Ontario. If one of the four seals around the door is worn, you will lose energy and thus money. You also run the risk of having unwanted visitors, like critters, insects, and rodents. Give special attention to the bottom seal. It gets worn first. But call us whether for top, side, or bottom weather stripping replacement in Oshawa. 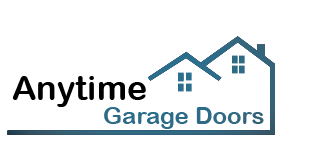 Don’t hesitate to call if you just need garage door bottom weather seal replacement! 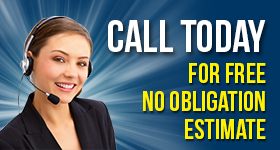 You can get in touch with our company whichever seal is torn. Our tech can inspect them all to tell you if the top and side weather seals are also worn. This might seem as an easy task. But it’s not. It requires accuracy and thus takes experience. If the existing garage door weather stripping is not removed properly, you can cause damage. So, leave such services to us. We come quickly and offer affordable service. Our pros have been offering garage door weather stripping installation for years. We have installed all kinds of weather seals over the years for all types of garage doors. Each seal is designed for each door type – its material is an important factor when you shop around for weather seals. As for the material and type of the seals, they vary too. We can provide you with rubber seals, retainers with seals, or threshold garage door bottom seals. In any case, you can trust the skills of our pros to install them correctly. Call Garage Door Repair Oshawa if the weather seals are damaged. If you have an insulated door, you lose energy when you have invested in a door to keep the garage energy efficient. If you don’t have an insulated door, the garage temperatures are compromised since air travels in and out through the cracks. Let us winterize your garage by replacing your Oshawa garage door weather stripping today. Don’t forget that weather seals work well for the summer when the garage must remain cool. So, call us today for service.